Taylor is a graduate from UW-Madison, receiving a Bachelor of Science in Kinesiology with an emphasis in Exercise and Movement Science. 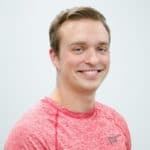 Taylor began personal training after graduating in 2016 and continues to share his passion by educating others on the importance of an active and healthy lifestyle. He takes his experience in both the classroom and weight room to find the most efficient and effective path for his clients to reach their goals. 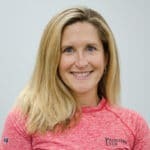 Taylor has worked with a wide variety of individuals over the years ranging from those looking to improve athletic performance to those who are transitioning from a sedentary lifestyle. He is an advocate of defining an individual’s movement capabilities to create a foundation for strength development while remaining pain-free in the process. Taylor has been involved in athletics since he was young, playing basketball, baseball, and tennis competitively. Recently, he has shifted focus from the court and field, and looks to continue improving his performance in the weight room wherever he can.